Although Europe became a land of immigration in the 1960s, European nations and public opinion as well as governments have failed to translate the change of their status from ‘emigration lands’ to ‘immigration countries’. This is particularly true for Italy, which has experienced a shift from being predominantly a country of emigration to one of the most important immigration countries in Europe. While immigrants are thus becoming an increasingly important part of Italian society in terms of numbers, and although several researches have started recognising the potential benefits of immigrants for the Italian economy and for the labour market (Solari, 2016), they are still neither wanted nor welcomed by society, as can be seen in the country’s strict immigration and deportation laws (Ambrosini, 2013). Often, the representation strategies and discursive practices enacted by Italian military authorities, national politicians, and local media have been depicting the Mediterranean Sea as the setting of a perpetual emergency (Calhoun, 2010; Vaughan, 2015; Musarò, 2017), and migrants and asylum seekers crossing borders as a significant problem to be managed in terms of a wider social, cultural and political ‘crisis’. These ‘crisis’ representations exaggerate existing migration‐related issues and accentuate public anxiety about migration and asylumseeking in Europe, feeding back to a vicious circle of further anti‐migration media coverage and xenophobic political rhetoric (Pastore et al., 2006; de Haas, 2007; Musarò and Parmiggiani, 2014). While coverage of ‘the crisis’ is characterised by significant diversity, overall, new arrivals were seen as outsiders and different to Europeans: either as vulnerable outsiders or as dangerous outsiders (Georgiou and Zaborowski, 2018). In both cases, newcomers are represented without any historical or political framework, while the issue of irregular migration flows is construed as a tragic game of fate. As protagonists of a crisis who come from nowhere, migrants are depicted simultaneously as subjects who are forced to put themselves in danger – departing on unsafe boats – and as subjects at risk (of death and trafficking) who need to be saved. Depicting the newcomers as threats to security (Bigo, 2002; Mezzadra 2013) or merely vulnerable subjects (Tazzioli, 2015; Albahari 2015; Andersson, 2014), and not as agents of their own destiny, with education and employment experiences and skills, the ‘spectacle of the border’ adopts different languages to speak to different audiences. As Albahari (2015) argues: like the different light refractions of the same kaleidoscope, the national spectacle of policing and border control is also the cosmopolitan spectacle of rescue and salvation. The sensationalist and stereotyped images of migrants and refugees shown by media on a daily basis, not only neglect reporting the impact of migration on communities, and correctly informing audiences on the rights migrants are due under international, regional and national law. They also no longer depict ‘extra‐communitarian residents’ as just any foreigners in a simple legal sense, but as ‘absolute strangers’ or ‘aliens’ (Balibar, 2004). They are transformed into subjects and objects of fear, experiencing the fear of being rejected and eliminated, and inspiring fear in the resident populations. Thus, legitimizing states in investing in the control of borders more than ever before, while fear is often used to obscure questions of political responsibility (Cuttitta, 2014; De Genova, 2013). If migrants and asylum seekers are framed either as vulnerable victims or as dangerous outsiders, how can we challenge the opposition between us (citizens) and them (non‐citizens)? How can we recognize ‘them’ as legitimate subjects who are able to negotiate participation in cross‐cultural public dialogue on their own terms? In what ways can refugees and migrants speak up in order to challenge these narratives of security and pity? What ‘architectures of listening’ (MacNamara, 2016) can we establish whereby refugees’ voices can come to matter? 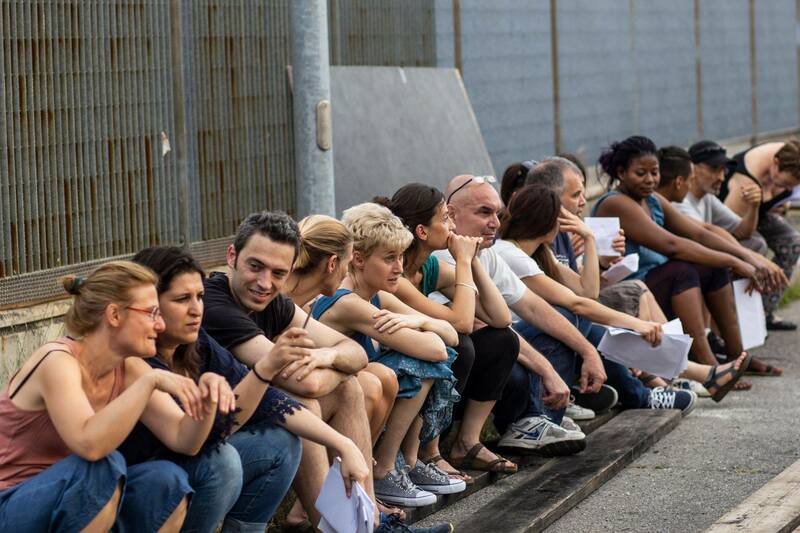 I will attempt to answer these questions by exploring the artistic and social work of Cantieri Meticci, a theater company based and active in Bologna (Italy) and involving professional and non‐professional actors from over 15 countries. 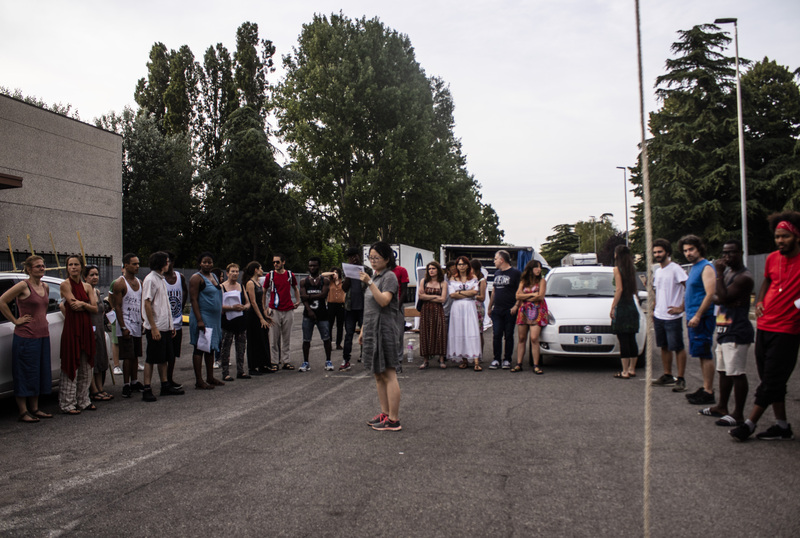 Working in the intersection between aesthetics and activism, since 2012 Cantieri Meticci has been organizing large‐scale theater projects that involve asylum seekers, refugees, migrants and Italian citizens, and which culminate in huge artistic events open to the local community. 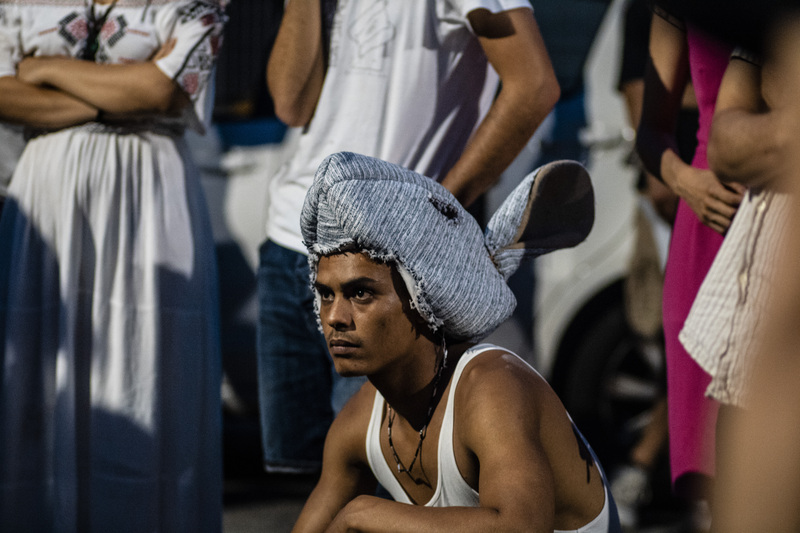 Running drama workshops in schools, community locations, mosques, and reception centers, Cantieri Meticci uses artistic tools to stimulate a public debate on the ongoing relations between newcomers and the hosting countries. Thanks to collaboration with several not‐for‐profit organizations and public institutions at local and international levels, its activities are widely visible and have the power to reach citizens and inspire a large‐scale debate on the issues of migration and intercultural dialogue in Europe. Through a participatory methodology, Cantieri Meticci aims at improving the artistic and cultural education of local societies. It also aims at sustaining a community of professional actors/activists whose performances shed light on topics such as border control, human rights, solidarity, and citizenship. 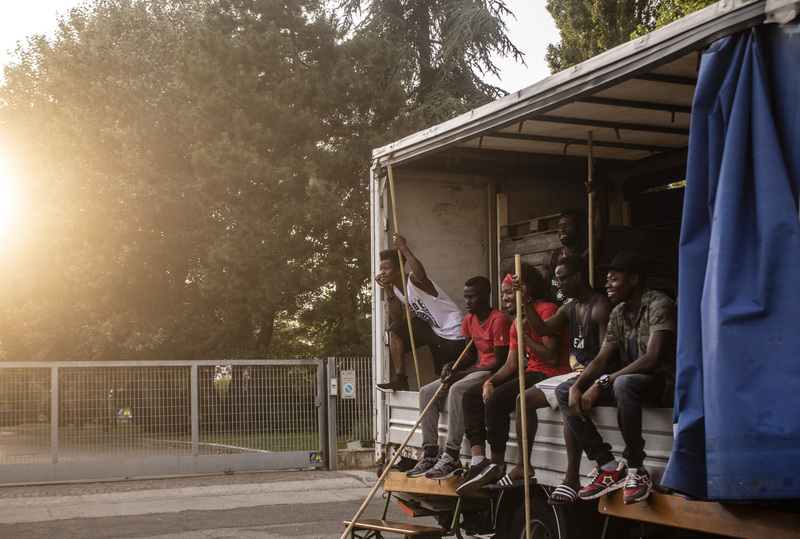 Drawing on the work of this theatre group, this essay adopts a ‘maximalist definition of participation’ (Carpentier, 2017), and focuses on the notion of ‘social performance’, in order to explore how Cantieri Meticci’s theatrical performances and their participatory workshops face the mainstream narrative that associate migration governance with border control or humanitarian aid. Exploring their artistic practices, the article investigates how they work on imagination to create alternative spaces that are able to challenge dominant representations and hegemonic discourses, making the notions of ‘border’ and ‘citizenship’ active sites of resistance and struggle (Rovisco, 2014). The essay opens with a short overview of a theoretical model based on the notion of theatricality as a productive metaphor to understand the workings of moral experience in modern societies (Habermas, 1989; Calhoun, 1992; Fraser and other, 2014)6. Then, assuming that theater is capable of both humanizing and desensitizing its publics (Chouliaraki, 2012), the article goes on to explore how the theatrical metaphor of cosmopolitan solidarity is challenged by the physical proximity of the ‘other’. 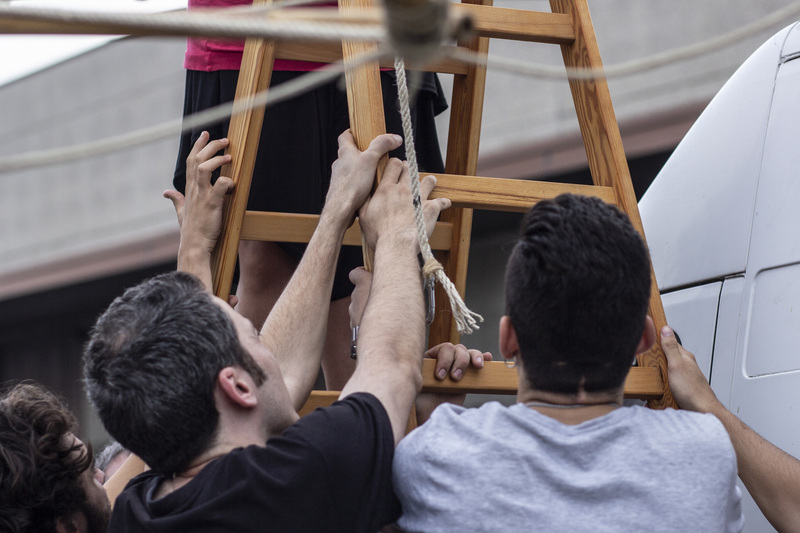 It specifically analyzes how Cantieri Meticci use participatory theatre to resist, rework, or disrupt the lines between possible and ‘impossible citizens’ (Vora, 2013; Papadopolous, Vassilis, 2013), while fostering inclusion through new communicative spaces and alternative social relations. View the full paper with references here. London School of Economics and Political Science, UK. Published by Media@LSE, London School of Economics and Political Science, based in London, UK.